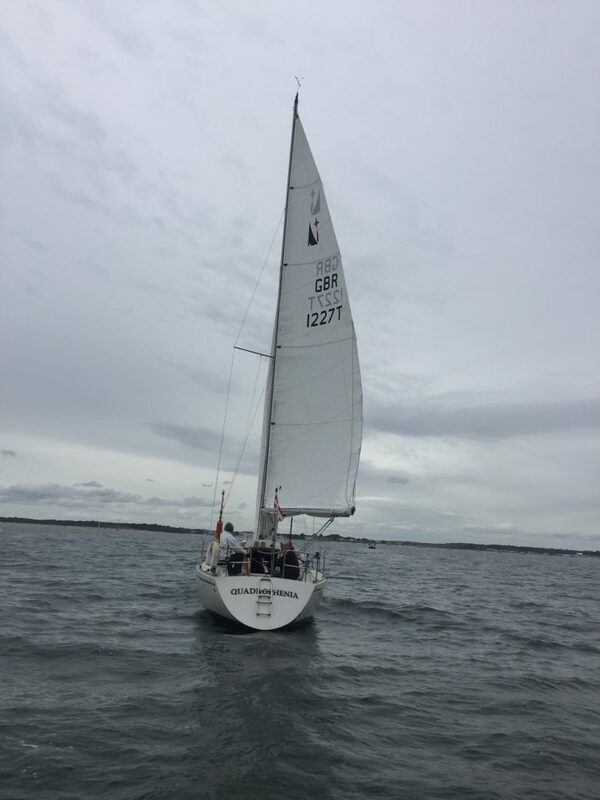 Saturday 12th May saw 11 VPRS rated yachts heading into Poole Bay to compete in the annual Clipper Marine two handed mini-series organised by the Royal Motor Yacht Club on behalf of PYRA. With three races scheduled there were doubts of any racing at all with a variable breeze of between 3 and 7 knots. 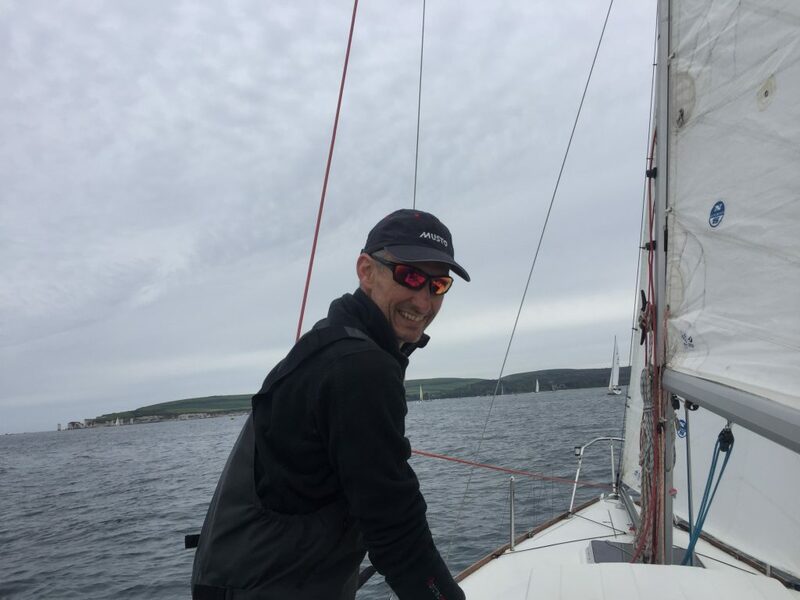 Race officer, John Chilvers however started the fleet on time with a beat into the East Looe Channel entrance, with all well underway nearing the windward mark what little wind there was dropped to virtually nothing with boats on a long run out across Poole Bay. Slow progress was however made and the race officer wisely shortened course to enable everyone to get a finish. 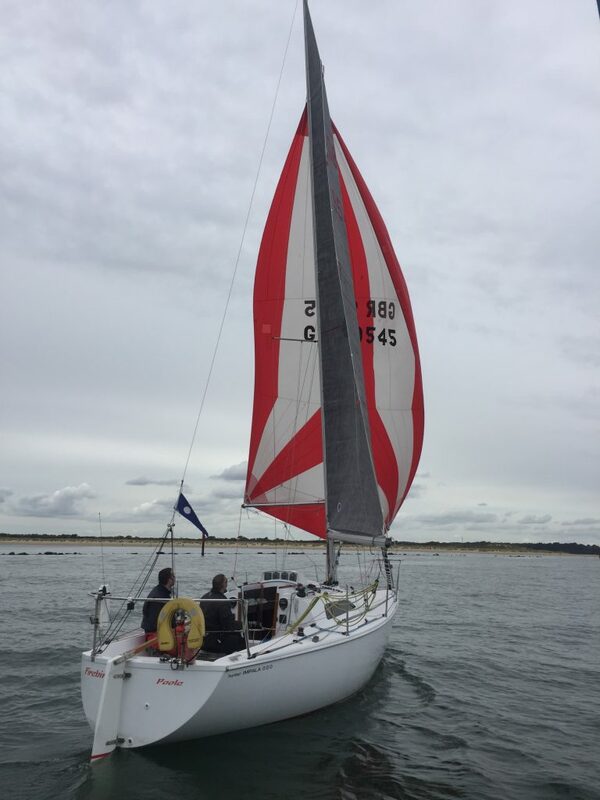 An Archibault A31 ‘Zorra 3’, was to secure line honours, closely followed an Elan 333 ‘Elevation’ just 12 seconds behind and then a JPK1010 ‘Joy’. 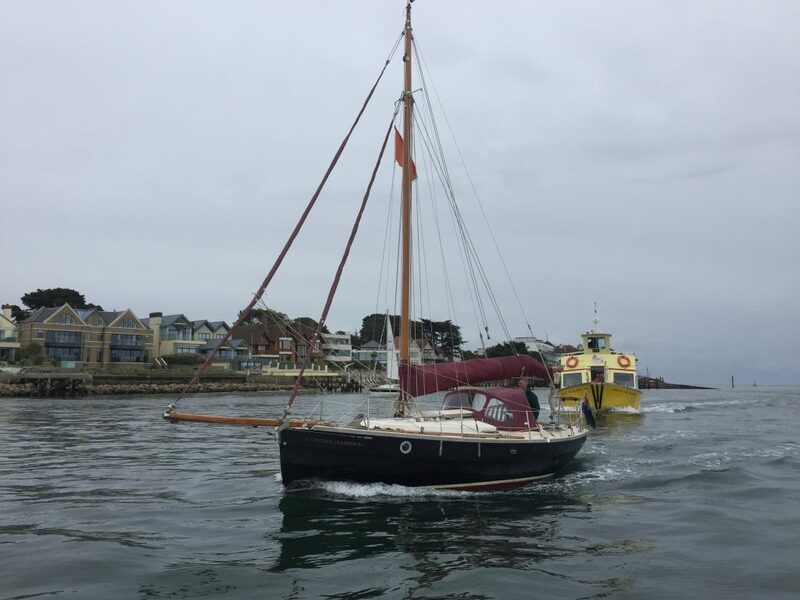 After ratings had been applied it was however smaller boats that were to prevail with the best elapsed time achieved by the Impala 28 ‘Firebird’ also winning Class Two and then the Ecume de Mer ‘MS Amlin QT’ second in the fleet as a whole and winning Class Three. Predictably following the last finisher the pressure built to 6 or even 7 knots. The Race Officer making the decision to reduce to just two races and was able to get a second race started. With boats enjoying a beat across the Bay with the Impala ‘Firebird’ leading the way and much larger boats in their wake. First around the first mark, but shortly thereafter the wind reduced to virtually nothing for the second time in the day. 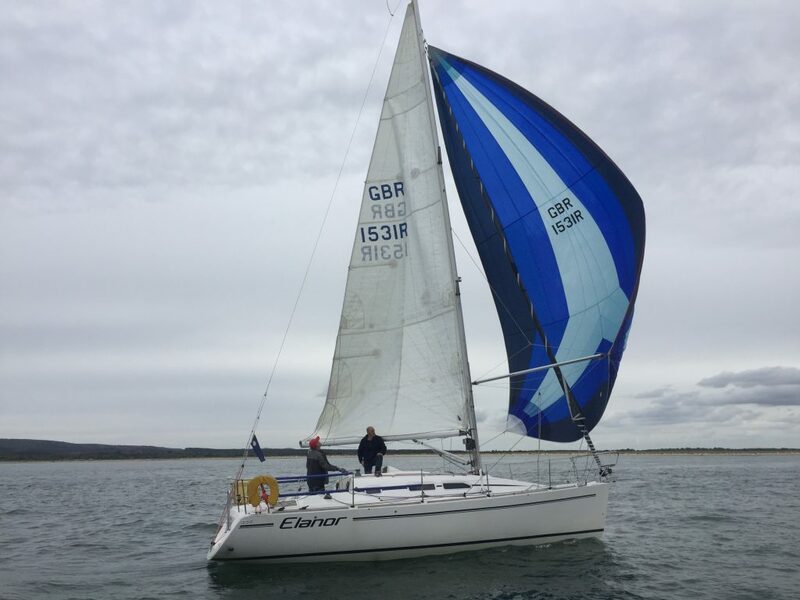 On what was to be the final run following a further shortened course, ‘Firebird was able to hold off the JPK 10.10 , to secure line honours a win over the fleet as a whole and Class Two. 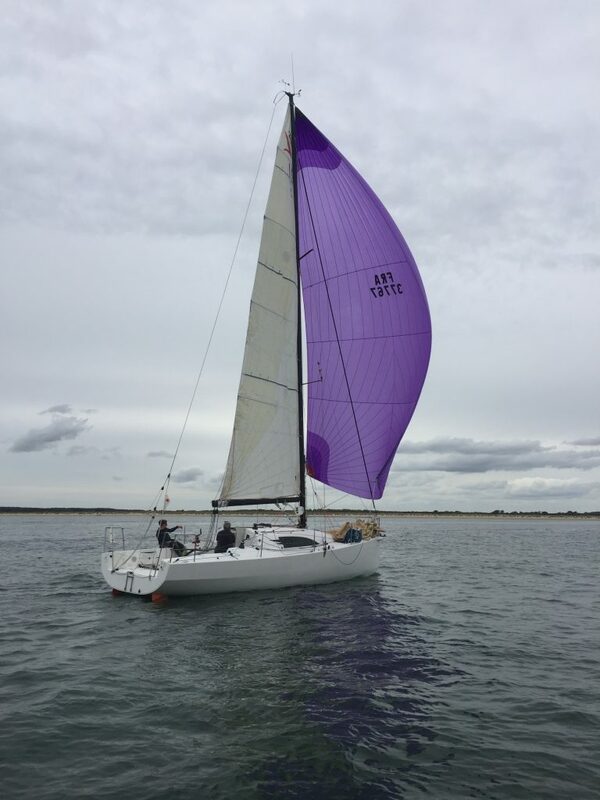 One of the later finishers the Splinter 21 ‘Elphin’, the smallest boat racing secured second place overall and a win for class three. 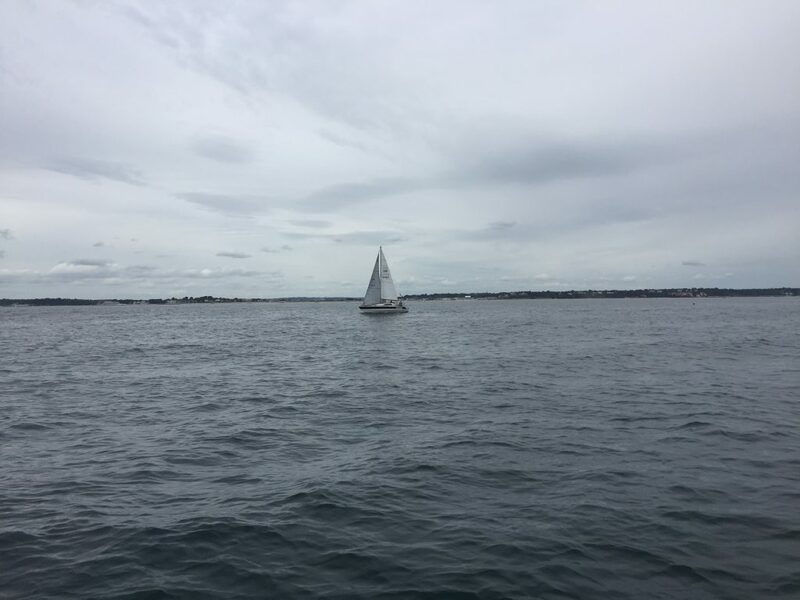 What transpired to be frustrating race for some , ended with an excellent Rendezvous hosted by the RMYC and prize giving courtesy of Clipper Marine.